Rev. Al Sharpton has been NAN’s president since he founded the group in 1991. Sharpton is also a contributor on MSNBC and hosts “PoliticsNation,” a one-hour weekly show on the network. The NAN and MSNBC did not return requests for comment. More than 100 organizers “will go office-to-office to deal with the GOP representatives that are leading this campaign, in specific Congressman Todd Rokita,” according to the press release. 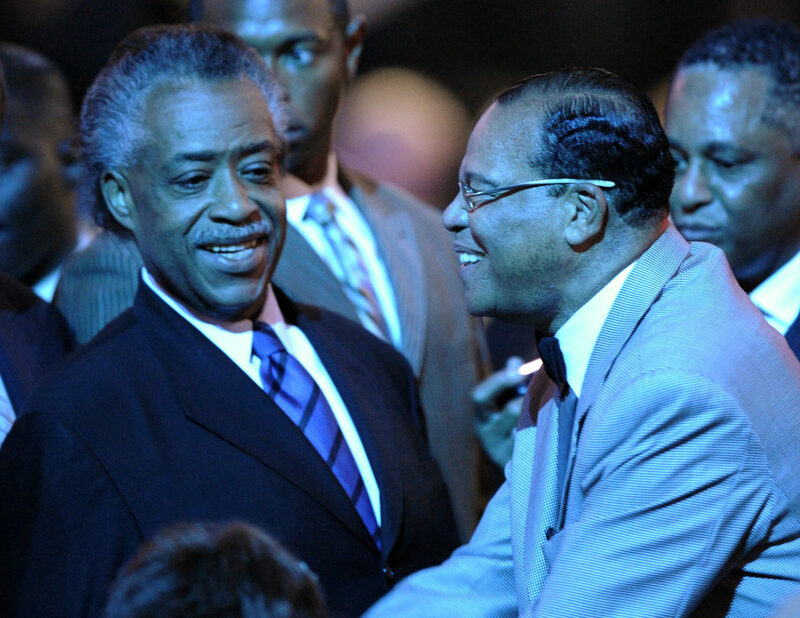 “The coalition will be lobbying key members of Congress-the GOP in particular-to condemn President Donald J. Trump and to leave Louis Farrakhan alone. Please do not try to stop us because we will not turn back. We will represent professionally and politically vigorously,” the press release said. “We cannot allow a politically hypocritical political situation to exist whereas an openly racist president, Donald Trump is given a free pass and to spew racist venom and racist policies by a confederate based GOP; and then they have the gall to issue an official legislative condemnation of a private citizen and Black leader who is dearly beloved by the masses,” said Black Lawyers for Justice president Malik Zulu Shabazz, one of the protest organizers. Shabazz, a former leader of the New Black Panthers, has a long history of anti-Semitism and once shouted at a protest: “Kill every goddamn Zionist in Israel! Goddamn little babies, goddamn old ladies! Blow up Zionist supermarkets!” That’s according to the Anti-Defamation League, a Jewish civil rights organization which has tracked Shabazz’s anti-Semitism for years. The press release lists Shabazz as the point of contact for the protest. He did not return an email seeking comment. First, a Nation of Islam photographer revealed a 13-year-old photo of then-Illinois Sen. Barack Obama smiling with Farrakhan at a Congressional Black Caucus (CBC) meeting in 2005. Second, Women’s March leader Tamika Mallory attended Farrakhan’s annual Saviour’s Day speech in February, where he railed against Jews and white people. Mallory has repeatedly defended Farrakhan and Women’s March has declined to denounce him, alienating some progressives both within the organization and outside of it. That includes DNC deputy chair Keith Ellison, who claimed to have cut ties with Farrakhan before running for Congress in 2006, when actually he attended multiple meetings with the hate group leader during his time in Congress. Ellison penned a blog post on Sunday confirming he crossed paths with Farrakhan twice in 2013 but denying Farrakhan’s claim that he and Indiana Rep. Andre Carson visited Farrakhan in a hotel room in 2015. Carson has confirmed he attended the Farrakhan meeting that Ellison says didn’t happen. Some House Democrats, including Ellison, have condemned Farrakhan while others, including Davis, have distanced themselves from Farrakhan’s racism and anti-Semitism but have declined to condemn him. South Carolina Rep. James Clyburn, the third-highest ranking Democrat in the House, shared a stage with Farrakhan in 2011 and has since declined to condemn him. Democratic California Rep. Maxine Waters, who attended a Nation of Islam convention where Farrakhan defended suicide bombers, has similarly remained silent on Farrakhan’s anti-Semitism, despite repeated media inquiries.